ENs are naturally occurring microscopic worms barely visible to the naked eye. They infect and kill specific pests, and are natural predators to many insects. Their use is proven and effective, and there are no withholding periods for staff and the public. They are completely safe for the environment and waterways. ENs (Entomopathogenic Nematodes) hit the turf industry by storm a decade ago, then lost traction because of the drought. With new ownership and a renewed dedication to this totally natural, CSIRO developed technology, they are back. 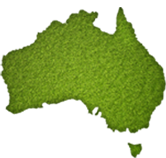 At Living Turf we recognise the need for ENs and are proud to represent them in NSW / ACT. Adult larvae can cause a great deal of damage once populations get a foothold in your turf. 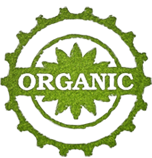 ENs (Beneficial Nematodes) are the only non-organophosphate solution. They are exempt from registration with the APVMA and control a range of damaging turf feeding larvae, including Argentine Scarab, Argentine Stem Weevil, African Black Beetle, Cockchafers and Billbug. They act in a targeted way and will not damage turf, non-target insects or wildlife. Given the increased risk of resistance to conventional chemistry, ENs represent an excellent rotational control strategy. 1. ENs are made to order, so the most cost-effective way is to order 6 weeks in advance when they are virtually half the price. The manufacturers do hold emergency stocks, but must charge a premium due to shelf life issues. 2. They are sensitive to UV light so they must be sprayed at or after dusk, with immediate irrigation to drive them into the soil where they will seek out target larvae. 3. ENs will control the most advanced stage of larvae, stopping them feeding almost immediately and causing them to starve to death in approximately 3 weeks. 4. 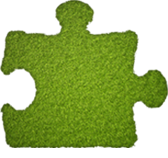 Your Living Turf field representative is accredited to advise and implement EN treatments, in close cooperation with the manufacturers.